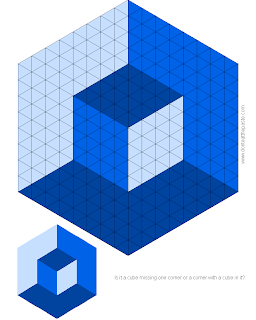 When I was working on the tumbling blocks boxes the other day, I built the blocks from triangles. Geometrically, the shape is hexagonal, and hexagons are built from triangles. So last night, I went to bed completely exhausted, and apparently mumbling "It should work. 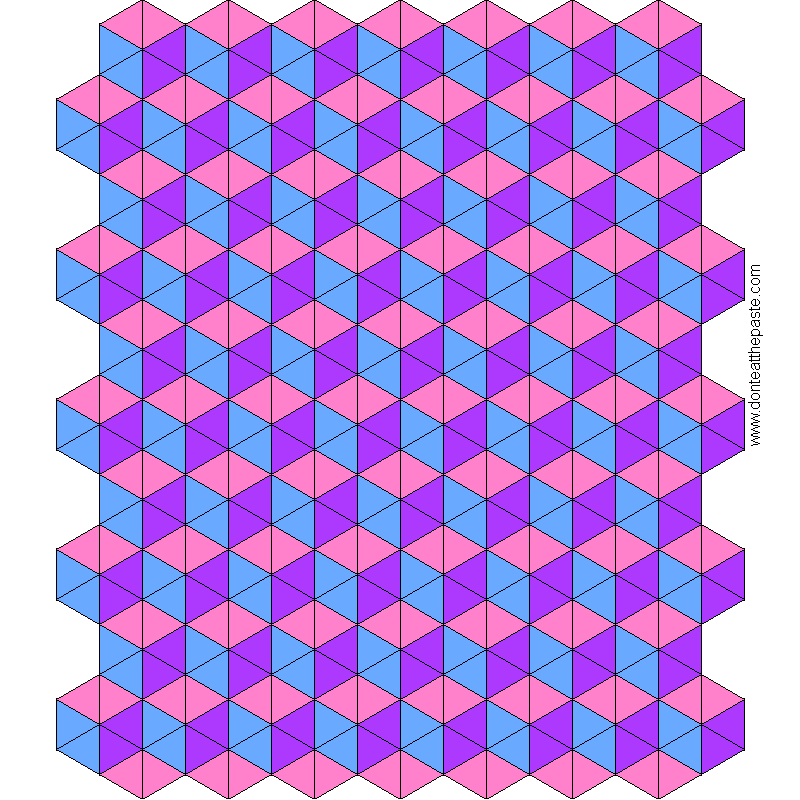 Crochet equilateral triangles are easy and cubes are made from hexagons." Then went on to explain to my husband who hadn't asked that I mean 2 dimensional representations of cubes so it would make sense. Apparently I failed, but he was very patient about it. 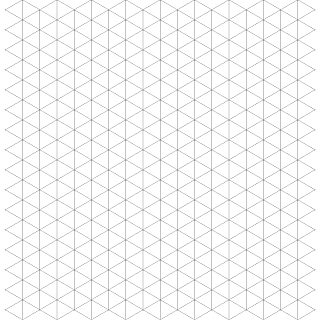 So an example of a 2 d cubic representation is the tumbling blocks design which works out on triangle graph paper like this. So that's been done before. What I wanted was more of an illusion. If you look at the image at the top of the page, it can either look like a cube with a corner cut out of it, or a corner with a cube in it. So how would that look graphed for modular crochet? The illusion relies on the varying tones, it's most effective in a monochromatic color scheme which probably will mean different yarn brands that are the same weight. Now I need to swatch for gauge and find the right colors! As a hexagon shape, it will be good as a throw I think. 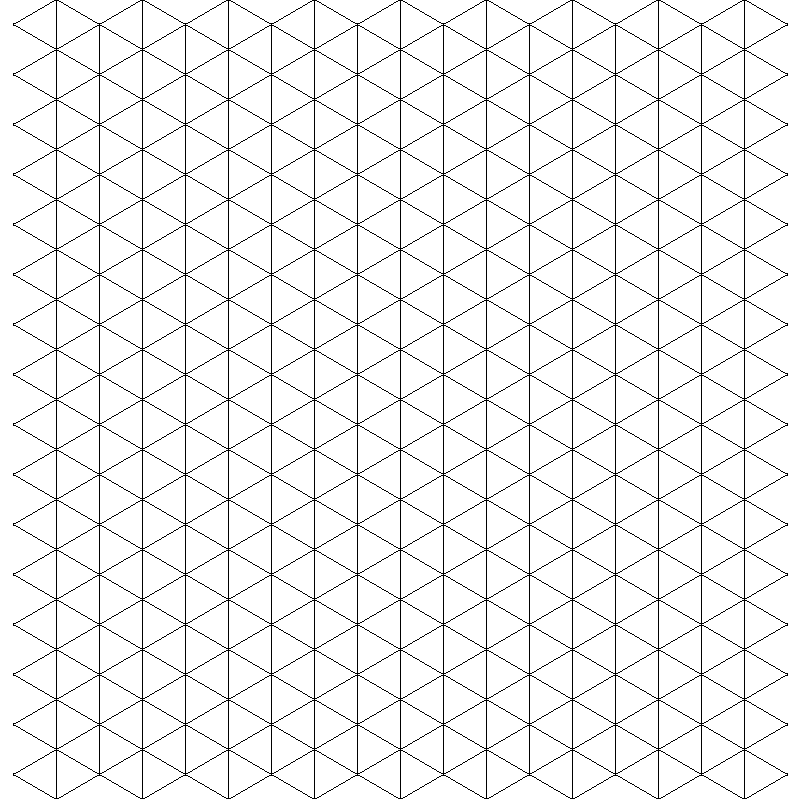 Here's some graph paper if you want to play with your own ideas. I'd love to see them!